You can explore the primary areas of Transport Research Partners work by clicking below. Airport Ground Transportation offers both unique challenges, but also unique opportunities in ensuring that the airport passenger, its staff and visitors are well served, with minimal delay, in appropriate, licensed high quality vehicles. The airport environment often reflects a unique set of circumstances, allied to, but separate from the circumstances of the cities served. Airports do not necessarily sit within the authority areas of their cities, creating unique challenges to ensure that ground transportation, its control and enforcement meet the needs of the passenger. Challenges arise in the operational needs and traffic patterns of the airport curb, as with the handling of registered airport licensed vehicles, and those entering less frequently. New forms of passenger transportation, including TNCs also need be accommodated, raising questions of ground transportation conflicts, as well as the economics of passenger ground transport. 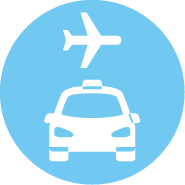 Transport and Taxi Research Partners provide advice on all aspects of Airport Ground Transportation, and have developed an Airport Ground Transportation model based on the assessment of a series of data analysis, public response and operational constraint. 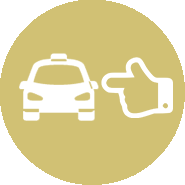 Taxi Research Partners can also provide benchmarking, survey development and analysis of different modes of ground transportation and assesses the airports needs. Our experience includes both European and North American projects successfully completed and implemented, and ongoing analysis arising from TNCs and RFP needs in the USA and Canada. Geographic Information Systems (GIS), and their use in Transportation Modeling (GIS-T) is a relatively new and very exciting analysis tool that Transport and Taxi Research Partners provides and applies across many of our projects. GIS provides a live map based platform upon which data can be visualized, demand and gaps analysis undertaken. But GIS goes far beyond these, allowing for the development of an entirely new approach to market review based on the precise calculation of service provision, demand and shortfalls. Surveys need not be based at aggregate levels of ZIP code or Traffic Analysis Zones, but rather at street levels and neighborhoods. 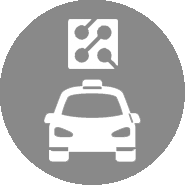 Transport and Taxi Research Partners have developed GIS-T models specific to the identification of taxi demand, market performance and time based variation in service levels. Our models have contributed to the positioning of taxi stands in cities; airport ground transportation traffic flows, as well as the optimization of traffic signals and street furniture. Our work has developed rapidly in GIS-T and is applied in many of our studies, including those in Scotland, Northern Ireland, the USA, Canada and the Republic of Ireland. The concept of providing Multi Modal Integrated Transport Services is a rapidly growing concept in the mobility sector, based on the premise that Mobility may be provided as a service (MAAS). The availability of smart technologies has plaid a critical role in the rapid expansion of this area, linking users to the mobility supply chain, planning, paying for multi modal trips through using one system. 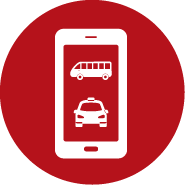 Recent development include systems which allow users to pay a monthly some to cover all their mobility needs covering Bus, Train, Tram, Taxis, Metro, Car Hire etc. with the goal to deliver new and alternative ways for people to travel, whether they’re based in big cities or rural areas. Reviews and Analysis focused on the taxi market has developed significantly since its first regulation, with recognizable steps in taxi provision and its associated assessment, from motorization, radio and internet dispatch, to today’s multi-billion dollar industries offering apps, limousines, taxis and for profit ride-sharing. Today the industry offers a level of service unsurpassed in its history, with real benefits to its users, and the communities served, every day, in every region of the world. 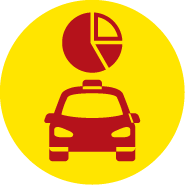 The market has developed rapidly but continues to pose challenging questions to its suppliers, and to its regulators, whether sufficient vehicles are supplied in either open or closed markets; ensuring taxi meter rates are fair, transparent and subject to scrutiny; ensuring the customer experience is appropriate, reliable and available regardless of the individual needs of the user, accessible to all and available on demand. Transport and Taxi Research Partners have been active across three continents in supporting, encouraging and providing the highest levels of data led analysis to the industry, its regulators and governments. Our work includes large scale surveys of public opinions, behavioral and operational analysis. Surveys extending to include the most modern methods of data collection, street intercept and internet surveys; while our data analysis uses big data sources of millions of trip records to ensure that a real picture is both present, understood and key to successful, defensible and appropriate policy decisions. 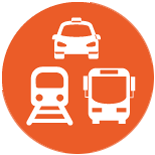 Public Transportation can comprise a large number of differing vehicle types, forms of transport and exact definitions, from the city supported transit agency, to commercial and profit making bus and train companies. Our transit experience cover decades and includes landmark studies, specific analyses, and service design. Our work supports the delivery of comprehensive transit plans that build on an understanding of the needs of a community, conurbation or settlement, through to the dynamics of sprawling development and the impacts of residential density. Projects include comprehensive local transport planning, transit density and urban development. Our principals have published widely on the development of transit friendly communities and optimization of transit delivery in the US, UK and Canada. Our work includes detailed planning, economic and passenger response analysis, with specialist team members whose expertise include transport psychology, behavioral response and spatial analysis. Our projects delivered include work in Scotland, Ireland, the EU and the USA. The provision of transport for all is a key tenet of planning, regulating and developing services. Legislation from the Americans with Disabilities Act, to the UK Disability Discrimination Acts, together with similar legislation worldwide have enshrined the concepts of access for decades, but continue to face challenges in delivery. 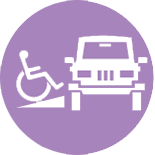 Our work addresses the real issues from our practical hands on experience in delivering accessible vehicles for all. Our work includes project planning, service design and vehicle specifications that have led to dramatic improvements in services offered. Our work includes social and economic impacts delivering sustainable accessible transit in Washington DC, alongside accessible services planned and designed from scratch; accessibility reviews for taxi commissions, engineering and transit designs in the UK, Ireland, US and Canada. 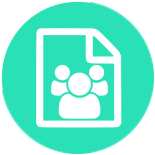 Our staff regularly contribute to accessible forums, advising accessibility panels in the USA, and EU. Our senior staff have served as directors to the Accessible Transport Forum, and panel members to the US, Irish, UK and Scottish Governments. One of the newest challenges within the taxi industry is the development of Transportation Network Companies (TNCs). The TNC operates a transportation booking service based on a smartphone app,with significant growth over a very short period. As with any new service, responses have been strained and differ between location, city and state. Even neighboring cities may adopt differing responses, with a growing need to permit development without destroying markets. City, state and national governments have struggled to incorporate all of the conflicting needs of the public, the traditional supplier and the new industry. 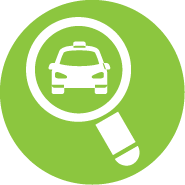 Transport and Taxi Research Partners offer an unbiased data led review of TNCs and traditional industries. Our work has contributed directly to policy development in the USA and Europe, with our team members contributing directly to the national governments, transportation research academies, and national regulators in Scotland, Northern Ireland, The Republic of Ireland and the USA. It is our very strong view that appropriate policy decisions follow from full knowledge and understanding of the market. Our work contributes directly to this understanding. Understanding your customers, passengers and transport users plays an essential role in the development of services, policy and local enhancements. Transport Research Partners has a dedicated team of analysts with a detailed knowledge of running successful public and user surveys. Our team is able to assist you in how to design surveys, how to implement and how to maximize their benefit. Our team has undertaken surveys across the spectrum of transport users, including airport users, taxi users, public surveys for transit development, observation and automated data collection. Our team have pioneered new technologies in intercept and street surveys, on-line and automated data capture. Understanding that decisions can be optimized by accurate data, our experts regularly advise on matching survey techniques and different collection methods to ensure the best and most useful outcomes for our clients. Our portfolio of satisfaction surveys include major airports, including Charlotte Douglas Airport and Dublin International, City administrations including Houston, Washington DC, Edinburgh and Glasgow, amongst many others; regional, state, federal and national governments including The Scottish Government, the Government of Northern Ireland and the State of Nevada. By understanding the absolute importance of clean accurate and repeatable data, our team have developed leading edge surveys, can advise on the matching of survey and other data collection methods, and the interpretation of results in an unbiased data-led manner. Motor vehicle technology is currently confronted by the urgent need to meet increasingly vocal political and social demands for cleaner and sustainable propulsion systems. Although emission reduction and fuel efficiency measures have dramatically improved the performance of conventional diesel and gasoline engines, the demand for nominally ultra low, super ultra-low and zero emission vehicles has steadily increased in the past decade and is forecast to continue doing so, driven by increased car-ownership and the urgent need in many cities to rapidly and drastically reduce air pollution. The vehicle hire sector, in its various forms, is not immune to this change. 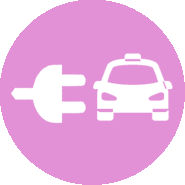 Taxi companies in numerous US cities have gone over to hybrid/plugin vehicles to improve fuel efficiency and reduce costs; a proposed inner-city ban on diesel vehicles in Germany, if applied to hire vehicles, would force a largely-diesel fuelled taxi fleet to re-think and adopt alternative propulsion systems. Furthermore, numerous governments have agreed, or at least proposed, the phasing out of combustion engines and their replacement with zero emission vehicles. Although several major automobile manufacturers offer fuel-cell vehicles, which nominally produce only water as an emission, this analysis is restricted to operation of the propulsion system and not to the production of the fuel (hydrogen) itself. The same caveat applies to the various available constellations of e-vehicles, whether full electric plug-ins or hybrids of various shade and tone: the battery construction, loading and disposal all require process that result in emissions of some sort. However, focusing solely on efficient, emission-free and sustainable fuel systems ignores several other significant factors that could make significant contributions to reducing the environmental and health impact of vehicle use. Driving behaviour significantly influences fuel consumption and emissions and it has been suggested that autonomous or semi-autonomous driving combined with intelligent traffic interactive regulation could significantly reduce emissions and urban congestion, and increase fuel efficiency. Starting with an initial interest in the taxi and hire vehicle sector, and experience of running numerous national and international projects, Transport Research Partners has expanded its interests to included vehicle and traffic technology, with particular focus on alternative propulsion systems and intelligent driving and traffic technology and is currently working on cooperative research projects with several international universities.